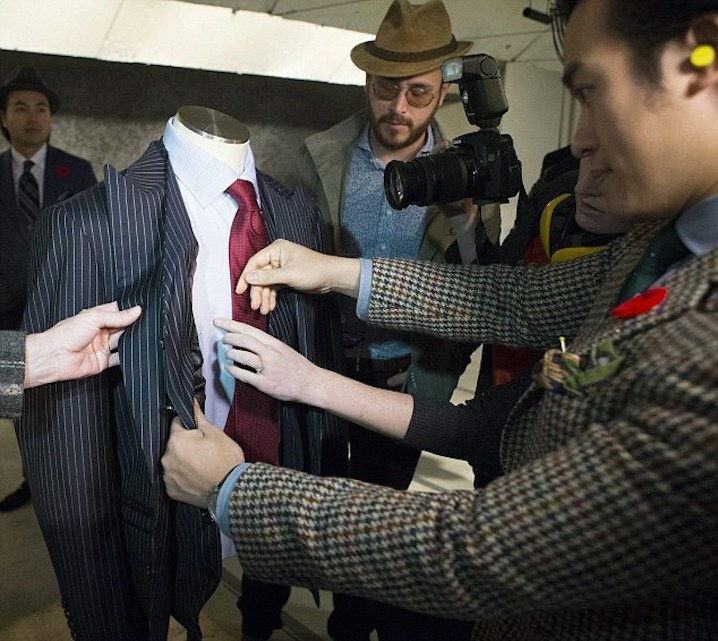 In a scene only dreamt of by most people, the employees of Garrison Bespoke, an upscale Toronto tailor, lined up and waited their turn to stab their boss, Michael Nguyen, with a hunting knife. Mr. Nguyen emerged from the experience unscathed, thanks to a remarkable bullet-proof business suit that has just been revealed to the public. A 9mm bullet stopped dead in the carbon nanotube lining of a new bulletproof suit. 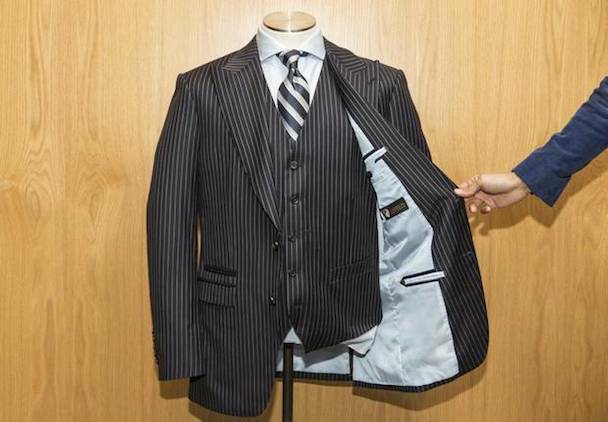 Garrison Bespoke’s bulletproof suit looks and feels much like any other. Adjusting one’s tie after a dust-up? Garrison’s bullet-resistant suit shows little sign of its special properties . Although bulletproof clothing has been available to the public for many years, the typical offering took the form of rather heavy casual clothing or outerwear. 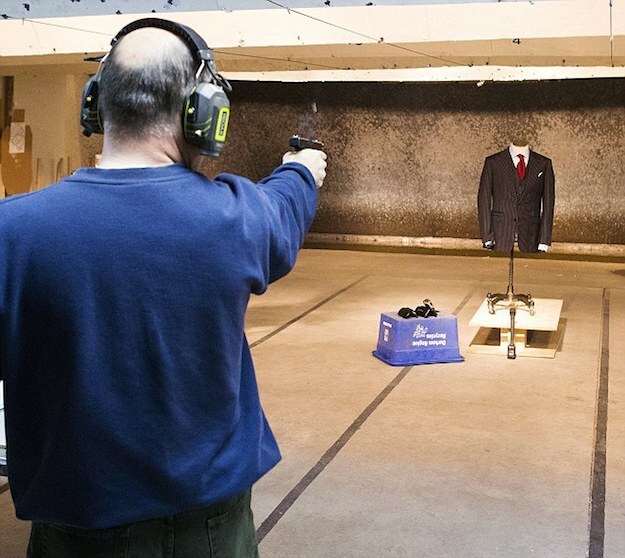 New advances in bullet-resistant fabric, however, have made it possible to provide solid protection in the guise of fashionable business wear. Garrison’s bulletproof (bullet-resistant is a more accurate description) suit contains several sheets of carbon nanotube fabric in its lining, manufactured by the same (anonymous) company that makes personal armor for the US Army Special Forces. Garrison’s bullet-resistant suit shows little sign of its special properties. These sheets are thinner and more flexible than Kevlar, while only having half the weight, and are so resistant to damage they have to be cut using a bandsaw. 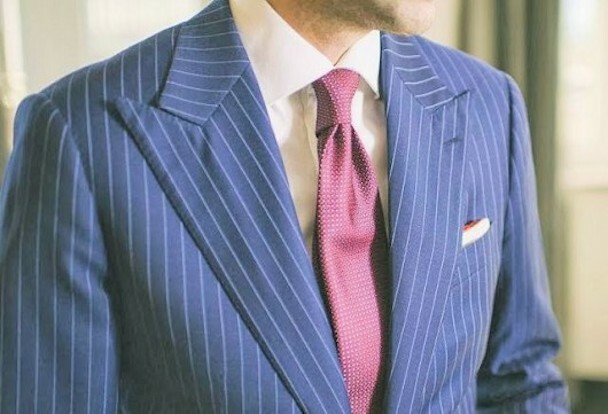 The resistance of the suit to stabbing is due to the tendency of the carbon nanotubes to tighten their weave in response to a point force, effectively blunting the tip of the knife, and preventing it from penetrating the fabric. In relatively informal tests, Garrison’s bullet-resistant suit proved capable of stopping 9 mm and .45 ACP (Automatic Colt Pistol) handgun rounds, in addition to the stabbing attacks by the Garrison employees. Stopping a 9 mm round is considered to be Level IIa protection by the US National Institute of Justice standards, however, Garrison has not responded to our inquiry about formal certification of its suit. A 9mm bullet stopped dead in the carbon nanotube lining of a new bulletproof suit. In a 2010 Forbes article, the Nanocomp’s VP of Business Development John Dorr remarked that, “The particular (bullet) stop you mention was accomplished with … the thickness of several business cards. It was able to stop a 9 mm round in that example.” This level of performance seems consistent with Garrison’s bullet-resistant suit, although there is no hint as to whether it is Nanocomp’s carbon nanotube sheets being used in Garrison’s suits. 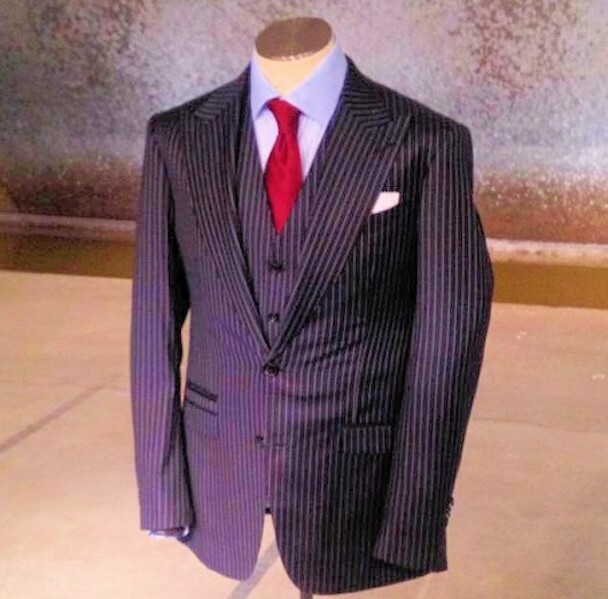 Garrison Bespoke’s bulletproof suit looks and feels much like any other. Starting at 20,000 CAD (US$19,160), these suits probably won’t be flying off the shelf, but for those who are rich, powerful, and find themselves involved in risky business, this offering from Garrison Bespoke may be just what the bodyguard ordered. ( By Brian Dodson from www.gizmag.com ) For more information just follow the link below.